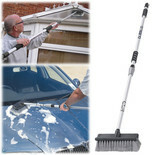 For general purpose cleaning on cars, caravans, boats, windows and walls etc. 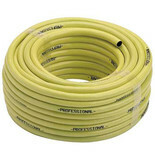 This is a tough PVC hose for garden or site use incorporating woven polyester yarn for kink resistance and added strength. 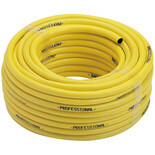 Tough PVC hosepipe for site and garden use incorporating woven polyester yarn for kink resistance and added strength. 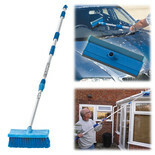 For general purpose cleaning on vehicles, boats, paintwork and buildings etc. 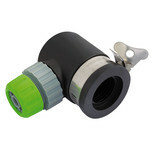 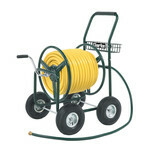 A high quality hosepipe for domestic use, including a tough reel for compact storage. 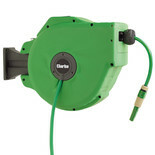 Clarke 20 metre Auto Rewind Water Hose Reel. 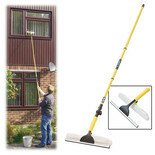 Ideal for windows, windscreens & conservatories etc. 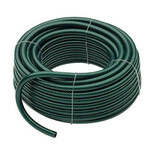 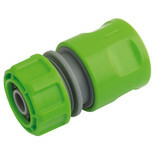 A 30 metre coil of conventional ½" green braided garden water hosepipe compatible with most popular fittings & attachments. 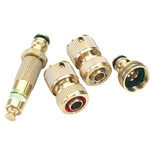 This set comprise of a ¾" BSP Tap Connector, ½" Hose Connector, ½" Hose Connector with Water Stop and Spray Nozzle. 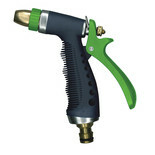 This Draper high quality aluminium bodied jet spray gun benefits from brass fittings for durability. 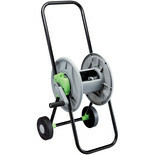 The Draper garden hose reel cart is ideal for storing your hose on and is a must have for any garden lover. 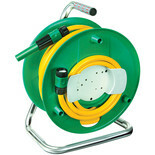 The reel has an adjustable height and holds apporoximately 45 metres.